Abuja, Nigeria. September 17th, 2013 – Latest weekly poll results released by NOIPolls has revealed that about 8 in 10 Nigerians have expressed support for the introduction of the new national identification (ID) card scheme, confirming that it is of priority to Nigeria. Also, 60% of those interviewed were of the opinion that the most important benefits of owning the national ID card are that it will serve as a means of identification and proof of citizenship. The poll further revealed that about58% of Nigerians are not aware of the new ID card scheme, indicating the need for more public awareness on the processes and benefits of obtaining the new national ID card, particularly its implications for security, immigration and financial inclusion. These are few key findings from theNational ID Card Snap Poll conducted in the week of September 9th, 2013. In line with this, in May 2013 the Nigerian Identity Management Commission (NIMC) and MasterCard used the World Economic Forum on Africa in Cape Town, South Africa as an avenue to roll-out the 13 million MasterCard-branded National Identity Smart Cards with electronic payment capability in order to pilot the new scheme. In the past, several challenges have been associated with the process of obtaining National Identification cards. 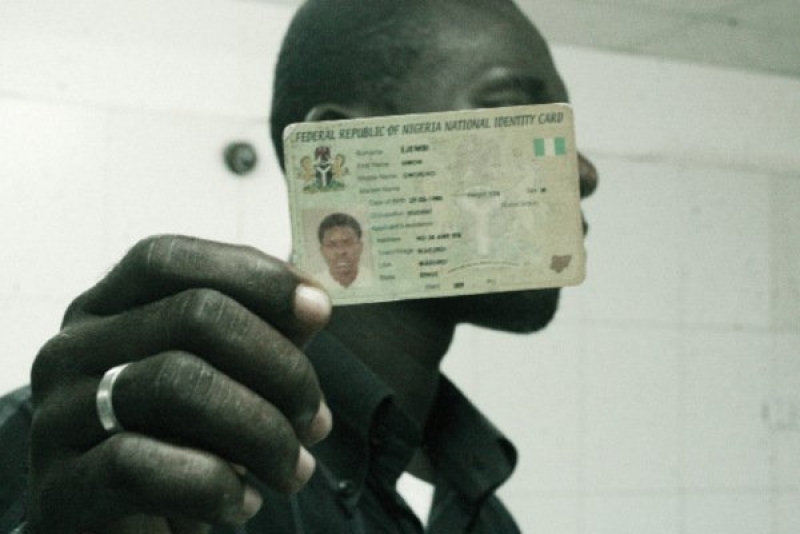 Thus, the reintroduction of a new national ID scheme by the Federal Government has been embraced with mixed feelings. While some analysts are open to the idea and new innovation, others speculate that it would turn out to be another wasteful endeavour. Against this background, NOIPolls conducted its latest poll on National ID card scheme to gauge the perception of Nigerians regarding the proposed new scheme, and the process of obtaining the national ID card. Respondents to the poll were asked five specific questions. Firstly, in order to measure the awareness of Nigerians on the new national ID card scheme, respondents were asked: Are you aware of the proposed new National Identification card scheme in Nigeria? Findings reveal that overall less than half (42%)are aware of the proposed new scheme, while 58% claim they are not aware of the proposed scheme. Analysing the level of awareness across geo-political zones reveal that the South-South zone (53%) had the highest percentage of Nigerians that are aware of the proposed scheme and the North-West zone (68%) hadthe highest proportion of Nigerians who were not aware of it. Subsequently, in order to determine the number of Nigerians that currently have ID cards, respondents were asked: At present, do you have/have you ever been issued a national ID card? Overall, the majority(62%) responded positively indicating that they had previously been issued national ID cards. On the contrary, about 38% responded negatively. Analyses across the geo-political zones reveal that the South-South zone (73%) accounts for the highest proportion of respondents who currently have the national ID card. This is followed by the South-East and theNorth-West zones with 68% and 65% respectively. Furthermore, the North-Central zone (50%) has the highest number of respondents who claim they do not have the national ID card. Thirdly, in order to gain further insight into their perception of the processes involved in obtaining a National ID card in Nigeria, respondents that claimed they currently possess an ID card (62% of the total), were asked:What is your perception regarding the processes involved in obtaining a national ID card? Overall48% (22%+26%) experienced a certain level of difficulty during the process where 22% claimed they found it “somewhat difficult” and 26% said they found it “very difficult”. Furthermore, 45% (21%+24%) stated the processes involved were easy where 21% claimed they it was “somewhat easy” and 24% stated it was “very easy”. Comparatively, 7% were neutral in their perceptions as they claim it was “neither easy nor difficult” to obtain a national ID card. Perceptions across geo-political zones revealed that while the North-East zone (57%) had the highest number of respondents that say the processes are “very difficult”, the South-West zone (33%) had the highest number of respondents that say the processes involved were “very easy”. Fourthly, in order to gauge the views of Nigerians on the need for new national ID cards respondents were asked:Do you think the proposed new national ID card scheme is a priority to Nigeria now? Responses to this question revealed that the overall majority of those interviewed (80%) expressed their support for the scheme, by stating that the scheme is of priority to Nigeria. On the other hand, 20% were of the opinion that the scheme is not a priority for the country at the moment and therefore do not support it. From the standpoint of geo-political zones, the North-East and the South-East zones had the highest number of respondents that are of the opinion that the new ID card is a priority to Nigeria with 92% and 91%respectively, while the South-West zone (40%) had the highest proportion that are of the opinion that the new ID card is not a priority to Nigeria now. Finally, in order to explore the opinions of Nigerians regarding the benefits of the new ID card scheme respondents were asked: In your opinion, what benefits do you think the proposed new National ID card will bring to Nigerians? Findings revealed that the main benefit of the new ID card as indicated by majority (60%) is that it would serve as a “means of identification as an individual and as a citizen (especially for banking and international travelling purposes)”. Furthermore, 15% claim they “Don’t know/no idea” while 11%are of the opinion that it would “help in security, safety and crime checks”, also 8% claimed it is of “no benefit and not necessary”. Analysis across geo-political zones also revealed that the North-East zone had the highest proportion of respondents that indicated the new ID card would serve as a means of identification as an individual and as a citizen (especially for banking and international travelling purposes). In conclusion, findings from this ID Card snap poll has revealed that while about 58% of Nigerians appear not to be aware of the new proposed national ID card scheme; the vast majority (80%) are still of the opinion that the scheme is of priority to Nigeria, thus affirming their support. According to most of the respondents (60%), the most important benefit of the new national ID cards is that it will serve as a means of identification and proof of citizenship. Further findings revealed that about 6 in 10 (62%) Nigerians claimed to have the old National ID card, and out of these, the majority (48% of 62%) have experienced various levels of difficulty in the processes involved in obtaining an ID card. In view of this, and considering the large Nigerian population (currently estimated population at 174 million), great consideration has to be made in setting up the facilities and procedures for the scheme, in order to improve the efficiency and make the process comparatively easy. Finally, the National ID Card Management Commission (NIMC) needs to engage on more public awareness campaigns on the new ID card scheme and the benefits of registering to obtain an ID card, particularly its implications for security, immigration and financial inclusion. NOIPolls hereby certifies that all the views expressed in this document accurately reflect its views of respondents surveyed for the poll, and background information is based on information from various sources that it believes are reliable; however, no representation is made that it is accurate or complete. Whilst reasonable care has been taken in preparing this document, no responsibility or liability is accepted for errors or fact or for any views expressed herein by NOIPolls for actions taken as a result of information provided in this report. Any ratings, forecasts, estimates, opinions or views herein constitute a judgement as at the date of this document. If the date of this document is not current, the views and content may not reflect NOIPolls’ current findings and/or thinking.